System Requirements: Windows 95/98/ME/XP/NT4/2000; Intel Pentium II, 32MB RAM, 8X CD-ROM Drive, 16-Bit Soundblaster-compatible sound card; High Color (16-Bit) video; DirectX-compatible audio/video card. Replay topics with the click of a mouse. 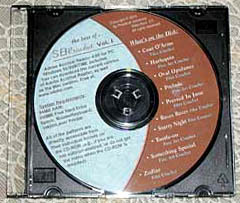 Each CD-ROM includes 20 patterns ranging from beginner to intermediate. Increase/decrease the finish size by adjusting the font size. Because this is a true type font, you can slant, skew, and kern the characters, thus creating your own, personalized symbols. Change the font colors to represent different hues of thread. 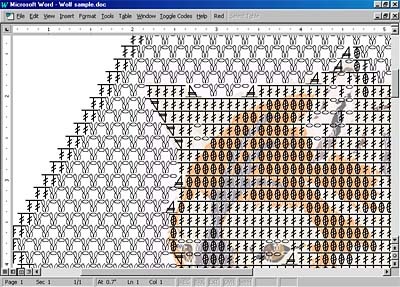 An included "X" character can also be used in various colors to create your own cross-stitch patterns. Instructions on installing the font for PC/MAC. 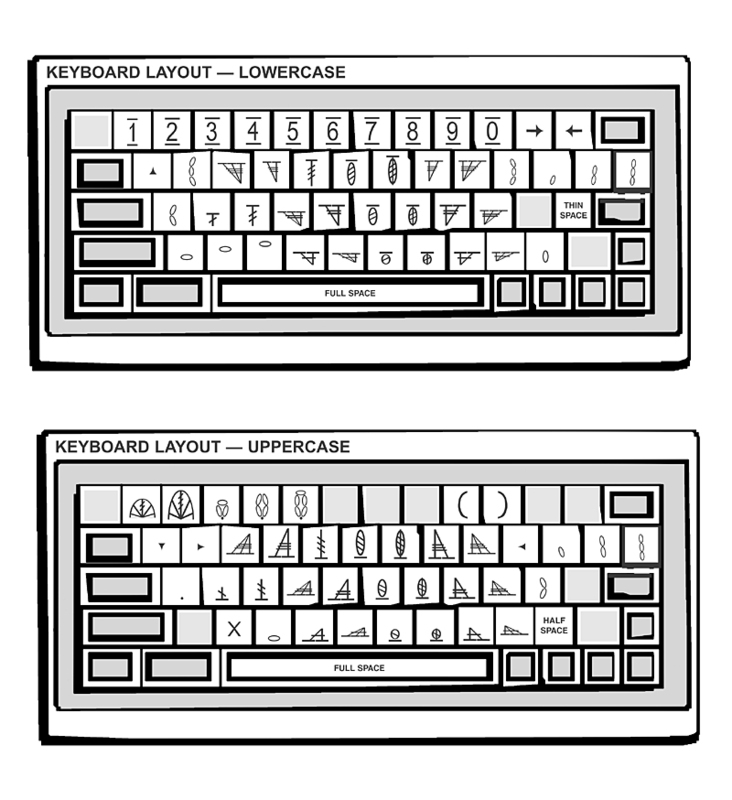 Keyboard layout in jpg format. Simple sample using MSWord in pdf format. SBFilet.ttf sample using MSWord. You must have the font installed to view the characters. Instructions on how to rotate text using Microsoft Word 97/8. 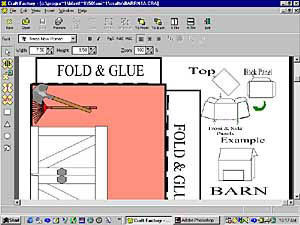 Acrobat pdf file. Click Here to view the General SBCrochet Nomenclature for Crochet Symbols. But of course, you can assign your own definitions to the symbols! 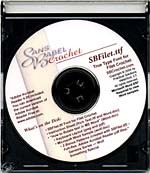 Now you can design your own Filet Crochet Patterns using standard word processing or graphics software and SBFilet.ttf — the first and only True Type Font specifically for Filet Crochet. This font was created by SBCrochet specifically for crocheters. Symbols include those for triple, double, and single crochets, as well as bobbins (crochet three/two together), end/beginning of row increases, and chain turns. SBFilet.ttf uses crochet symbols instead of letters to map out your design. CLICK HERE to see a sample keyboard layout (will open in new window). System Requirements: This software is for PC, though most Mac systems will load PC true type fonts. You will also need word processing/graphics software to execute your piece, as well as Microsoft Word 8/97 in order to load the samples. Download the SBFilet.ttf True Type Font for Filet Crochet instantly now. This download uses the PayPal Shopping Cart. By downloading this font, you automatically agree to the Single User License. You can download the ancillary materials (e.g., keyboard layout, instructions, etc.) freely at right. PC: 16MB RAM, Windows 3.1/95/98/NT/2000, 16-bit color video, CD-ROM Drive, Inkjet or Laser printer. Mac: 16MB RAM, 4X CD-ROM Drive. Must be capable of reading PC CD-ROMs. Mac users must have or download the Mac version of Adobe Acrobat Reader (free) from www.adobe.com. Windows 3.1/95 or better, 486 or higher PC, 8MB RAM, CD-ROM drive, SVGA graphics card, 10MB free disk space, mouse, printer for printing out the patterns. The time we spend with our children is priceless and all too fleeting. 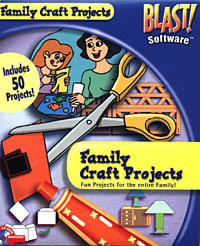 The Family Craft Projects CD includes patterns and assembly instructions for over 50 craft projects in four categories. Create an entire dollhouse full of furniture and accessories. Choose from a dozen airplanes and spaceships that really fly. The complete village includes a Bank, Fire Station, Ice Cream Shop, cars, even a church with a steeple. The farm country features a barn, farmer, cows, and even a tractor. 50 Family Craft Projects is hours of fun for all ages! Freely edit any of the craft projects included on the software, or create your own! Keep tuned to SBCrochet.com for the latest in Crochet Software!